I always love a challenge and was thrilled to be able to offer not one, but two recipes for this Get Ready For Game Day with PACE® post. 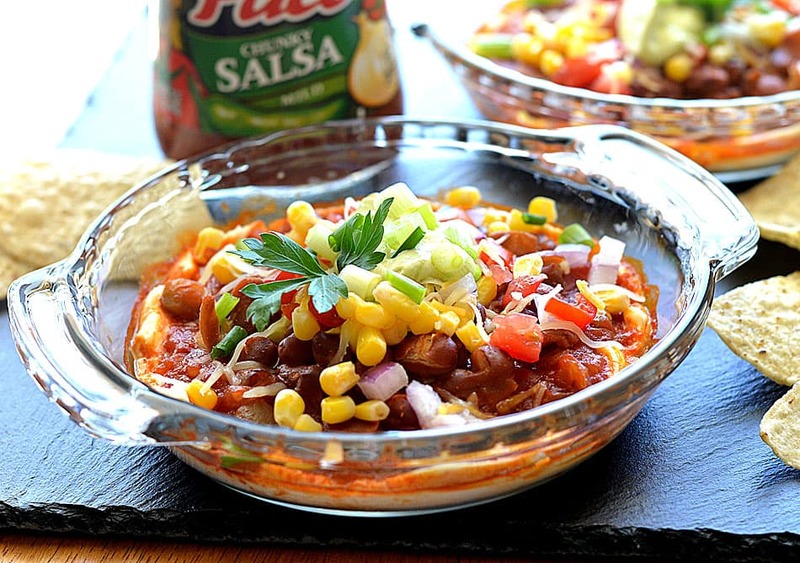 I am a huge salsa fan, though I do prefer it mild and chose to create two very different recipes using exactly the same ingredients. Both are vegetarian, though you could easily make them vegan if you’d prefer. 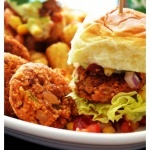 The first recipe is this 4 ingredient chili bean slider made with PACE® Chunky Mild Salsa, tortilla chips that have been placed in the food processor, cream cheese and canned chili beans, drained of most of their juices. They form and hold together beautifully and with that salsa made with handpicked jalapenos in there, taste amazing! This recipe would also make great veggie “meat”balls. They are placed onto any small slider-sized bun that is slathered with avocado mayonnaise. I used a bit of lettuce and topped with the tomato, red onion and corn mixture. All that’s left is a sprinkling of your favorite shredded Mexican cheese. You’ll also notice I served them with tots covered in the Hot Chili Bean & Cheese Dip below! My second recipe uses all of the same ingredients as the first. This Hot Chili Bean & Cheese Dip begins with the cream cheese. 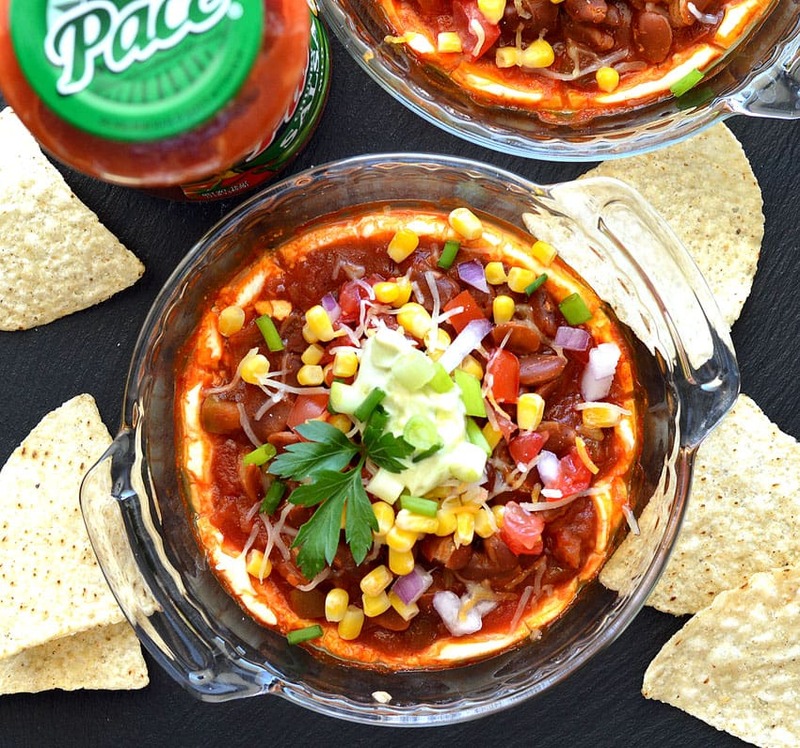 PACE® Chunky Mild Salsa is up next followed by the chili beans. I baked them until they were all hot and bubbly. Top with the tomato, corn and red onion mixture as well as the shredded cheese. Heat just until the cheese melts and top with green onions and your favorite tortilla chips. It’s so delicious! I found that these little pie plates (or a larger pie dish) work especially well for this layered dip. Just be sure whatever dish you are using is oven safe to 350 degrees. If you make either of these recipes, let your fellow readers know what you thought by commenting below. I really appreciate your feedback. 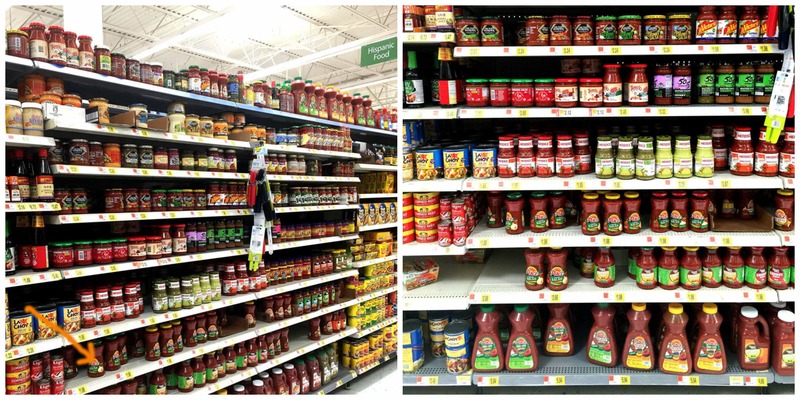 How do you Get Ready For Game Day with PACE®? Drain the chili beans and mash roughly with a fork, leaving some whole pieces. In a food processor, add the tortilla chip and process until the texture of bread crumbs. Add to the beans along with the cream cheese and salsa. Preheat a saute pan over medium high heat and add 1 Tbl of oil. Using a small scoop, portion the bean mixture and shape each into a patty. Cook until the first side gets slightly golden. Flip and repeat. Do not overcook. Cut a slider roll in half and spread some of the avocado mayo mixture onto each half. Place some lettuce, if desired. Add your slider and top with a diced tomatoes, corn and red onion. Finish with a sprinkling of shredded Mexican cheese. Spread the softened cream cheese into the bottom of the baking dish. Next add the salsa followed by the chili beans. Now add your corn, tomatoes and red onions. Top with shredded cheese. Bake just until the cheese melts and serve with your favorite tortilla chips and a dollop of that avocado mayonnaise. 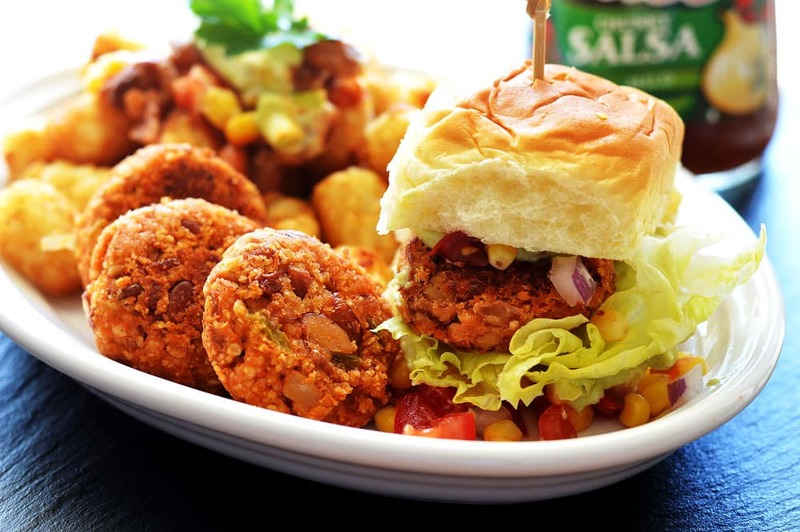 I love the idea of the chili bean sliders – I never thought to use salsa or cream cheese in creating a veggie patty, but those sliders look and sound delicious!